Radiant, yet weightless, Tiare radiates the sharp, bright light one notices reflected on sunny days in the northern extremities of the Northern Hemisphere rather than the tropical beaches evoked by the name (coming as it does from the national emblem of Tahiti). Possessing an arresting optimistic streak of intense hesperidic notes ~lime and mandarin~ along with shimmering, diamond-like florals in the heart, the composition of Tiare projects with an unexpected verdancy and a scintillating aldehydic shimmer akin to sipping champagne on ice. In its way a discombobulating fragrance, but all in the best possible sense! With the citrus touches, the (unmentioned) lily of the valley sweetly-piercing floralcy, and the delightful white florals (green jasmine and a subtle budding gardenia/tiare note) underpinned by a mossy-woody base I feel I ought to be out hopping along in a brightly reddish-coloured tartan skirt, getting the kind of frivolous and topsy-turvy fun we see in 50s and 60s black & white photographs that requires a cunningly naughty (gay?) male friend, a well-decked bank account and a big dollop of sentir bien dans sa peau. The amazing thing about Ormonde Jayne's Tiare is that it manages to give that feeling even if you do not possess any of the above, instantly putting you in the brightest mood as if the world is your personal buffet and you're choosing your hors d'oeuvres with gusto! Linda Pilkington, the founder and creator of Ormonde Jayne, has used Tiare Absolute from Tahiti (extracted in Tahiti, refined in the US and furthermore in France before it reaches the OJ studio in London). The process is labour-intensive: the Tiare flower is hand picked whilst still unopened and laid in oil for 15 days to extract the fragrance. “From the moment I first encountered Tiare, the search was on to find the purest oil extraction. Tiare is a flower that doesn’t give up its secrets easily and it took many different incarnations, finding a subtle progression from citrus to flower, before I felt that we had an exceptional perfume.[...] Like the woman who wears Tiare, this is a perfume that totally ignores seasons and the time of day, a perfume so artfully blended and infinitely refined... but with a dash of scintillating appeal". 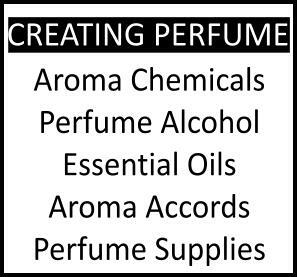 While talking with Linda, among other fascinating stuff, she had intimated that in her youth she had been an enthusiastic perfume wearer who mixed Diorella and Eau Sauvage. With such illustrious specimens as amulets, it's not hard to see how the best elements of both have sneaked their way into her latest creation. The initial impression of Ormonda Jayne Tiare is similar to the one I get when spraying Cristalle by Chanel, the folding of mossiness and cool grass into hesperidia. The kinship is more pronounced with Cristalle's Eau de Parfum concentration, in which the floral heart shimmers underneath the sharper elements, lending creaminess and descreet sensuality. In Tiare the gardenia, ylang-ylang and jasmin take the role that in the former was reserved for honeysuckle, imparting a mild sweetness that never becomes too much. Another example of the delicious champagne-bubbles-feel I am getting would have been Miller Harris Fleur du Matin and lovers of either scent are strongly urged to sample Tiare. You can thank me later...The lasting power is beyond amazing, which is usual with Ormonde Jayne scents (if you notice they tend to leave a tad oily film on the skin which proves just how generously rich they are in pure essence). My credit card trembles with fear at the prospect of having fallen hard for its charms. 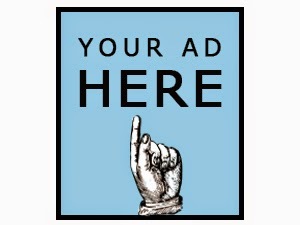 So should yours! Prices: £68 for Eau de Parfum 50 ml spray bottle and £ 180 for pure Parfum (50 ml with stopper). Available from The Royal Arcade, 28 Old Bond Street , London W1S 4SL and Ormonde Jayne at Boutique 1 Jumeirah Beach , Dubai as well as online at Ormonde Jayne (worldwide shipping) from November 19th. Related reading on Perfume Shrine: Ormonde Jayne news & reviews. 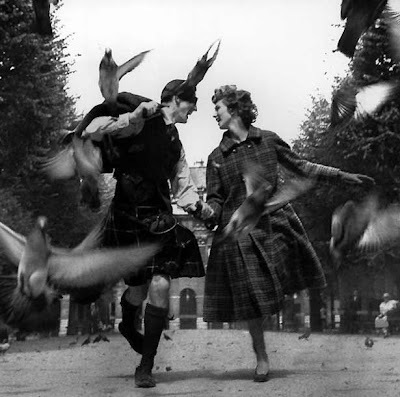 Photo of model Suzy Parker and Robin Tattersall in Scottish tartan wear by Richard Avedon via schukina/photobucket. 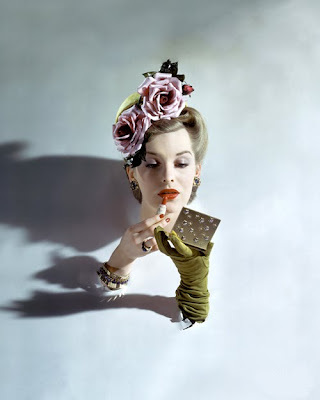 Art photography by John Ralwings for Vogue (March 1943) via vsnrydrmr.com. In the interests of disclosure I was sent a sample vial from the manufacturer. Fabulous review, I must smell it! It sounds wonderful. I wanted a good tiare perfume since I honeymooned in Bora Bora. Since I love Ormonde Jayne too, this is a must try. thanks for commenting! Your honeymoon sounds splending. Do bear in mind this doesn't evoke Bora Bora though (less tropical than that), but it's quality stuff all the way! However your description conjures the image of an OJ favorite of mine: Frangipani, with the bright hesperidic top, a shy creamy white flower in the heart and a whisper of woods in the drydown. I was hoping Tiaré could be the more luscious counterpart of Fragipani: more creamy flowers and more personality in the base. How do the two fragrances compare, in your opinion? Hi Helg, glad to see this review for a scent I've been anticipating. Like Zazie I was imagining something creamier and more tropical, but this sounds very much worth a sniff anyway. I find that Frangipani has a very perceptible banana note (accountable from the ylang ylang and jasmine) and is more of a white floral with some fruity accents, whereas Tiare has a mossier character in the base with a fizzy-like, sparkling quality which isn't present in Frangipani. I was fully prepared to come up against a tropical suntan floral and imagine my surprise when I realised it was such a Gallic composition! Talk about unexpected. It's really gorgeous and it elicited instant compliments, nevertheless! Ooooooooh. Sounds wonderful. Maybe I could pick up one of the travel sprays for my daughter; she's a fan of Fleur de Matin, although Cristalle is a little, I don't know, Chanel-ish for her taste. Too sophisticated, maybe - she's 14. I think it's an excellent idea and how lovely that you're treating your daughter to quality perfume and not run-of-the-mill juice. (Then again how could I ever expect anything less?) I believe Tiare will be wonderful on a girl with a taste for perfume and it's never "matronly", quite easy and lovely. Oh my, El, your take on this scent sounds too good to be true, but as a big O-J fan, I'm sure it's just that good! How to get my hands on some -- maybe XMas!!! Or Splitski? Additionally you used my absolute fave Avedon image from the show I saw in NY in the Spring, and where did you unearth that Rawlings, must see all of them!!!! Fascinating- so the reason I can't stop thinking about Diorissimo when I smell this might be an unamed lily component?! I was lucky enough to receive some too and agree it's very far from the beachy fragrance you might imagine. It's really wonderful- an excellent addition to the line too. Lovely review as always E! I think a travel spray would make a great gift. It sounds like you're doing an excellent job of setting your daughter on a deliciously fragrant life journey. I don't know about that particular compact, but I know that some people collect vintage compacts ... I always thought something like that would be a lovely ting to pull out of your bag for a touch-up. Those two photos are so incredible aren't they? The Avedon is one of my all time favs and the Rawlings is just...*scartches head to find right word*...I don't know if I can do it justice. Glad you enjoyed and thanks for commenting! those compacts are highly collectible and covetable. They just exude glamour, don't they! Beautiful, beautiful, beautiful! I really like Ormonde Jayne and have worn Ormonde on and off for years. But Tiare is my personal favourite. 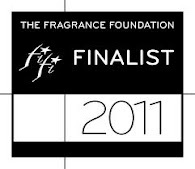 The Tahitian gardenia and the zingy top notes are to die for me. What really impresses me is that it lasts so long.